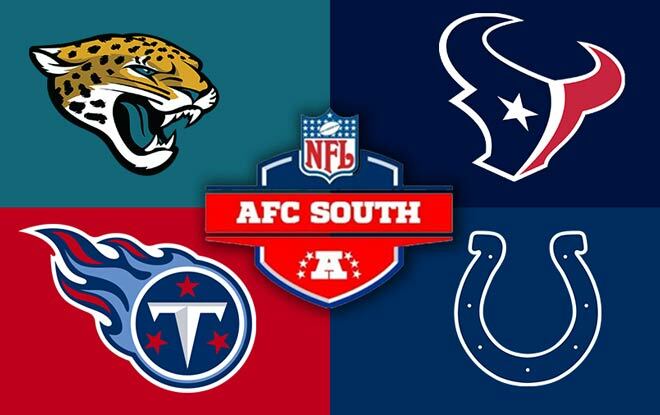 Betting sites are torn between the Houston Texans and the Jacksonville Jaguars to win the AFC South division. The former have won four divisional titles, including two of the last three. Meanwhile, the latter just popped their divisional championship cherry last year. Additionally, the Tennessee Titans have won two and the Indianapolis Colts the remaining nine. The Colts may have the most AFC South divisional titles and a returning Andrew Luck. However, they are Sports Illustrated’s pick to finish last in the division. And mobile betting is our pick to finish first in our hearts. When Blake Bortles is your starting QB, you know your focus is on two things; defense and rushing. Luckily for head coach Doug Marrone, 10 of 11 starters are returning to the secondary. The Jags ranked second in total defense in 2017, and first in passing defense. They allowed just six yards per pass attempt, and 170.0 passing yards per game. Offensively, J-Ville averaged just 225 passing yards per game. Which is perfectly understandable. Did I mention Blake Bortles already? Oh, I did. On the other hand, the Jags led the NFL with 141.4 rushing yards per game. But it’s not like they had any other alternative than running like Forrest Gump. The Texans finished 4-12 last season, and in last place in the AFC South. Betting sites aren’t holding that against them, though. Any Houston player who wasn’t injured at the end of the year should be thanking his lucky stars. And the Texas should thank their lucky stars that three players in particular are all returning from injury. Starting QB Deshaun Watson, defensive end JJ Watt, and outside linebacker Whitney Mercilus, to be specific. However, Watson is going to need more protection if he wants to remain healthy. And I’m not talking about wearing a rubber. Houston was the second most-sacked team in the league in 2017. This year’s Texans O-line will feature three new starters. The management of some teams is very lenient. Like that of the Cleveland Browns or the Cincinnati Bengals. The Titans’ management, on the other hand, doesn’t take any Scheisse. Head coach Mike Mularkey led Tennessee to the playoffs last season, but that wasn’t enough for the head honchos. Rumor has it, though, that the arrival of Mike Vrabel is more for starting QB Marcus Mariota’s benefit than anything else. The Titans hope that Vrabel can unleash Mariota’s full potential. Joke’s on new offensive coordinator Matt LaFleur. Who now has to tell Mariota to forget everything he knows so he can teach him a new scheme. The Colts hired new head coach Frank Reich. They also signed guards Quenton Nelson and Matt Slauson in order to improve the offensive line. Too bad Andrew Luck doesn’t have too many people to whom to throw the ball. Other than TY Hilton, that is. At least the ground attack should benefit from the upgraded O-line. Defensively, Indy placed last in yards and points allowed per game last season. There was nowhere to go but up for the Colts secondary. Sadly, they decided to go nowhere. No wonder betting sites pick them to finish last in the AFC South. Odds courtesy of GTBets.eu, one of the best online sportsbooks.